Groundwater dams are structures that intercept or obstruct the natural flow of groundwater and provide underground storage. 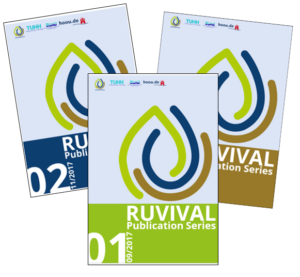 They can therefore be used as a macro-catchment rainwater harvesting technology in arid and semi-arid areas. 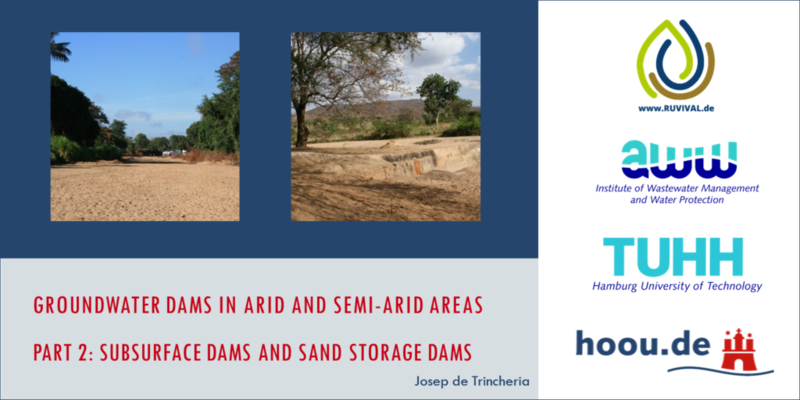 The main two types are: subsurface dams and sand storage dams. They have successfully been used in several parts of the world, most notably India, Africa and Brazil. Instead of storing water in surface reservoirs, water is stored underground. 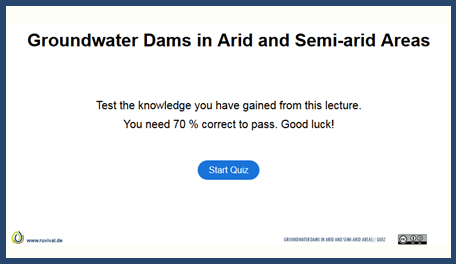 This is the main principle behind groundwater dams. The main advantage of such storage is that evaporation losses are significantly lower compared to open reservoirs. They are also the most reliable method to prevent saltwater intrusion. 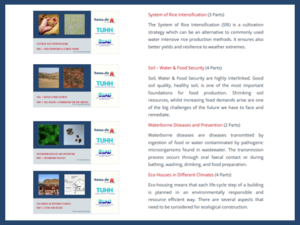 Furthermore, since parasites cannot breed in underground water, the risk of waterborne diseases is reduced. 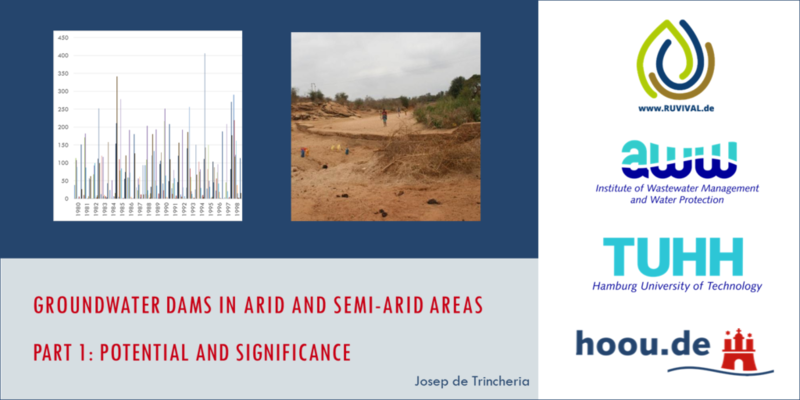 The submergence of land, a problem which is normally associated with surface dams, is not present with sub-surface dams. However, groundwater dams are not a universally applicable solution, as they require specific conditions in order to properly function. Ideally, they should be built in areas where rainwater from a large catchment area flows through a narrow passage. The best construction sites are where the soil consists of sands and gravel, with rock or a permeable layer at a depth of a few metres. 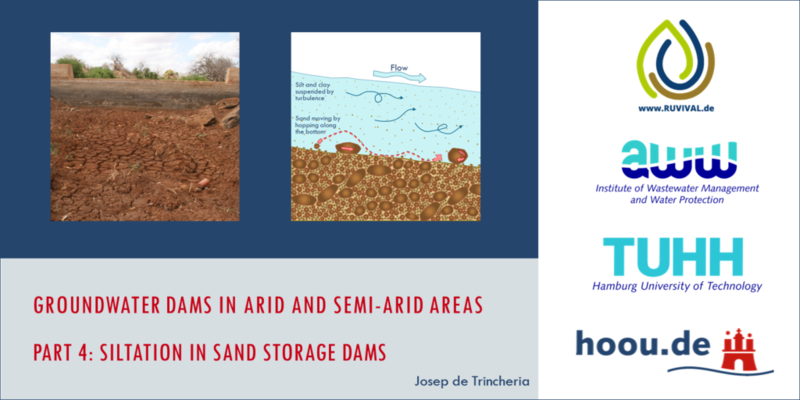 Josep de Trincheria is a PhD candidate at the Institute of Wastewater Management and Water Protection. 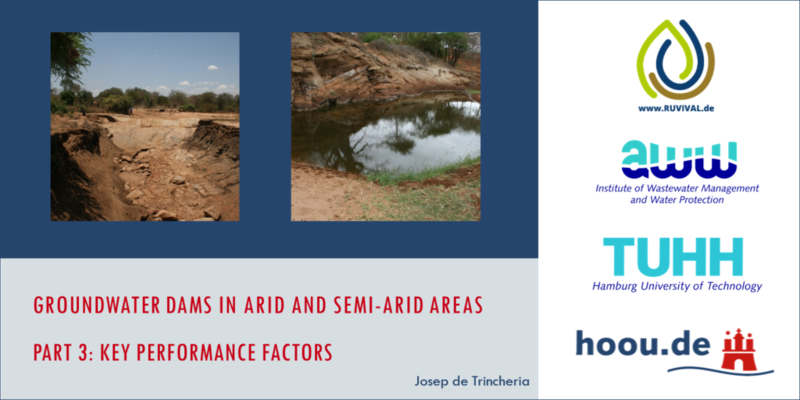 The topic of his doctoral thesis is the technical evaluation and design optimisation of subsurface dams and sand storage dams in Kenya and Zimbabwe. In addition, he has work experience in different African countries, including Eritrea, Kenya, Mozambique, Zimbabwe, Nigeria and Ethiopia. He is currently working as an Emergency WASH Officer at the UN International Organization for Migration.